Rubber bushings, Polyurethane Bushings, automotive rubber bushings, PU Bushings, rubber step bushings, leaf spring rubber bushings, rubber suspension Bushings, rubber torsion bushings and torsion bar bushings are a class of parts that protect the device. Rubber bushings are generally used for mechanical, to achieve the role of sealing, wear protection and other accessories. The use of rubber bushings is very wide, the use of relatively high flexibility, it can play a lot of role, such as reducing equipment wear, vibration and noise, and anti-corrosion effect. And the rubber bushings are easy to replac after damage and the cost is low. 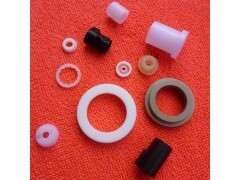 Many parts of the industrial sector, such as valves, bearings and other components will use rubber bushings. Lucky company specializing in the production of Rubber bushings, Polyurethane Bushings, automotive rubber bushings, PU Bushings, rubber step bushings, leaf spring rubber bushings, rubber suspension Bushings, rubber torsion bushings and torsion bar bushings. Good quality and reasonable price. welcome to order!